BERLIN -- Daimler is changing top management at the maker of the tiny Smart car, part of the latest plan to overhaul a brand that’s always been an awkward fit for the world’s largest maker of luxury vehicles. Prompted by a strategic shift to electric vehicles, Annette Winkler will step down at the end of September after running Smart for eight years, the Mercedes-Benz parent automaker said Tuesday. Her replacement will be named later. Started two decades ago as a bold bet that urban consumers would buy a car mainly for its parking convenience, Smart has racked up about 4 billion euros ($4.6 billion) in losses, Bankhaus Metzler estimates. To find a new raison d’etre, the maker of the squat ForTwo is now being transformed into an urban version of Tesla, abandoning combustion engines for electric models starting in 2020. The mainstay model was redesigned in 2014 to give it more of a car-like snout to match a new four-seater -- the aptly named ForFour, a joint production with Renault. But that reset hasn’t led to lasting demand. Deliveries last year slumped 6 percent to 136,000 vehicles. Daimler doesn’t release financial details for Smart, which is part of the Mercedes-Benz Cars division. 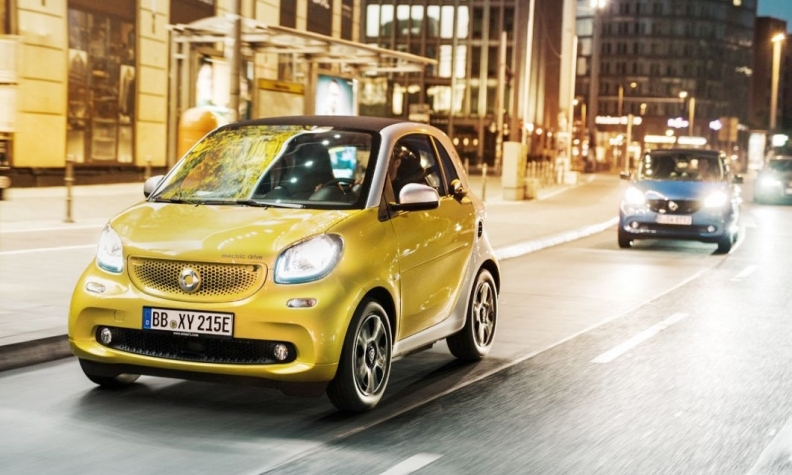 Smart’s main contribution to Daimler has been to help offset the emissions of high-margin gas guzzlers like the Mercedes S-class sedan and AMG GT sports car. The G-class offroader produces nearly three times the carbon dioxide as the Smart ForTwo, meaning sales of the petite model provide an important contribution to meeting rules on fleet-wide emissions. “You can take more risk if the name on the car is Smart rather than Mercedes,” said Daniel Schwarz, an analyst for Credit Suisse in Frankfurt.